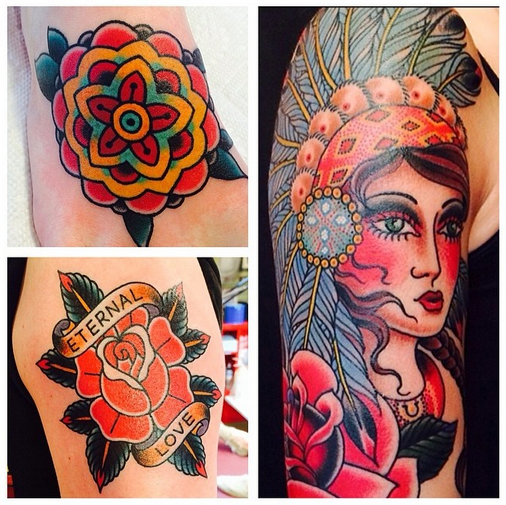 Tom Einheuser will be visiting us here @ Name Brand Tattoo December 18th & 19th. 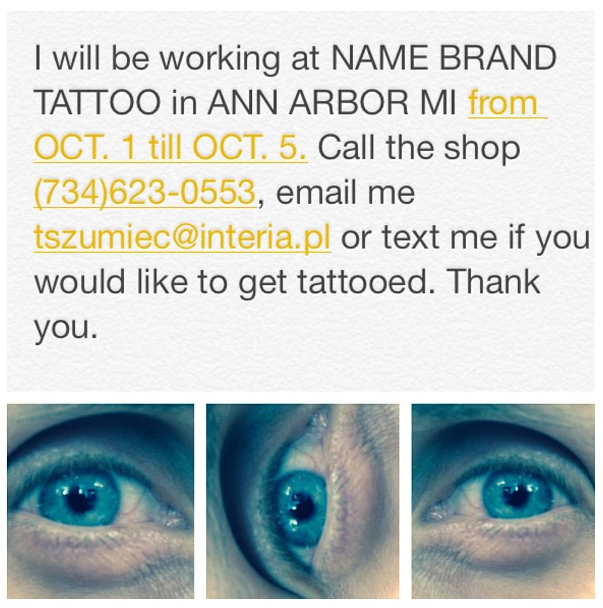 You can give us a call @ the studio or email him @ TomEinheuserTattoo@yahoo.com to set something up!! Don't Forget We Have New HOURS!! Don't forget starting on Monday July 20th We will have new shop hours!! 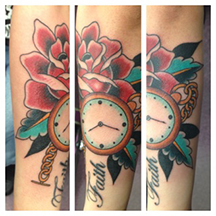 Also JOHN HILL will be joining us here at Name Brand Tattoo every Tuesday and Wednesday! I will have a page up for him soon on the website but until then you can find him on instagram @ johnhilltattoo. Beginning July 20th Name Brand will be open Monday - Friday from Noon-8 & Saturday 1-8! We will also have one new artist joining us you can find him on instagram @ johnhilltattoo!! To Attend the Roc City Tattoo Expo in Rochester NY. Stop by and visit us in NY or we will see you when we return to the shop Tuesday May 5th! We will be in the studio on Tuesday this week and we will be closed on Wednesday December 24th and Thursday December 25th. We'll be back in the studio on Friday and back to normal business hours! Come on in visit us! 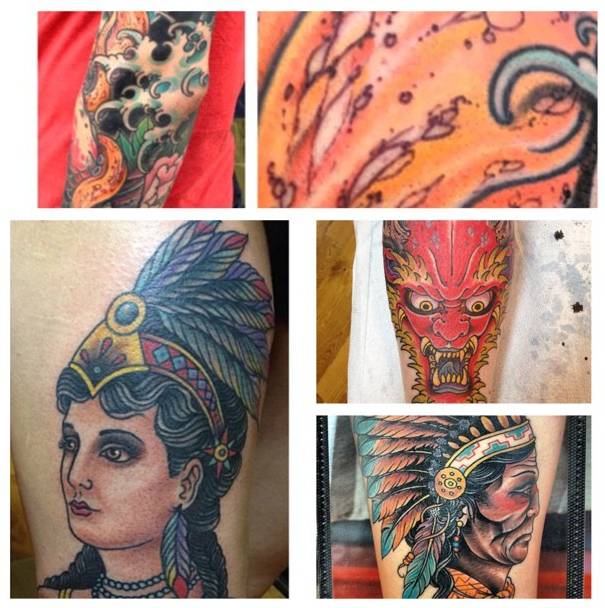 J Ranno from Read Street Tattoo, Balitmore MD will be visiting us here @ Name Brand Tattoo April 29th - May 3rd. Stop on in and pay him a visit we would love to see all of you! 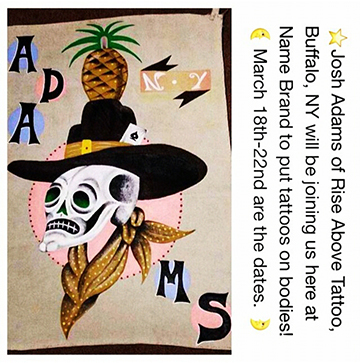 Josh Adams from Buffalo New York is coming to visit! If you are coming to Name Brand next week here is a link to some info you may need to navigate around the art fair! Have fun! !